Today's photo was taken in my flower bed... I love the spring when everything is in bloom. Books and Crannies, located in the old Iris Theater downtown, is having a book signing this Saturday with several local authors. Check out the article in the Tribune for additional info! I love irises! My mom had them in our garden where I grew up. Now I'm into the gladiolas in my garden. OH very very pritty, Bri! Love the color! 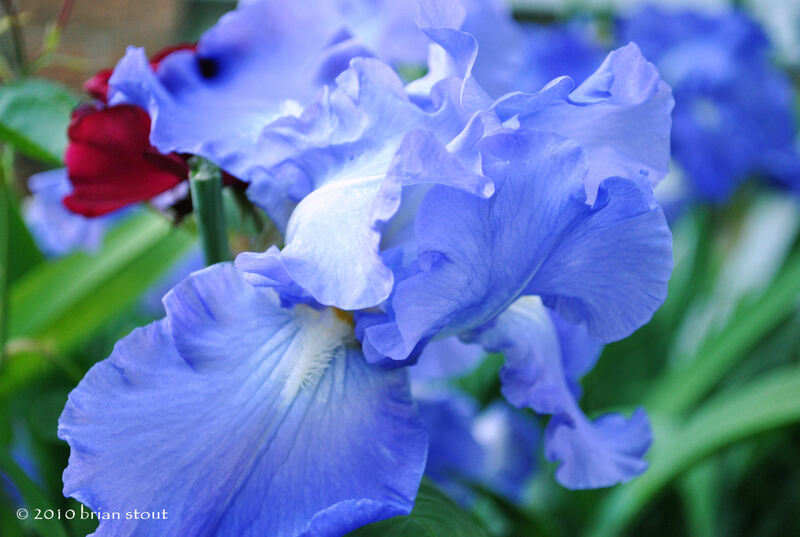 I love any blue flower, and this iris's hue is so pretty.